Welcome to the Harley Walk-in Clinic. Our private clinic has been in Harley Street for 20 years and has an exceptional reputation for high-quality medical care at your convenience. We close later than any other similar clinic in the area and on the weekends, giving you plenty of time to see a private GP or other specialists out of working hours. We organise our appointments to minimise waiting times and to accommodate you when you need us the most. This is a busy clinic so please feel free to make an appointment rather than walk-in if you want to avoid the waiting time. Please note that step-free access is not available at this clinic. We can accommodate wheelchair users but aided movement from wheelchair will be required. Please inform the clinic when you book so that sufficient team members are available to assist you. Oxford Circus, Bond Street, Baker Street and Regents Park. Parking is available on Queen Anne Street and on Harley Street. You can also find parking on Chandos Street, Duchess Street and Mansfield Street. The Harley Walk-in Clinic is part of the Harley Street Health Centre Group which was founded in 1998. Unlike most walk-in clinics, we see patients of any age and offer a full range of primary care, women’s health and men’s health services including walk-in and same-day doctor appointments, sexual health, minor injury, medical screening and medical testing services. 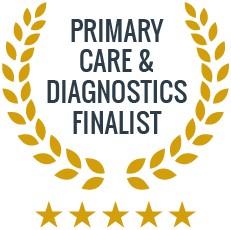 Private GP services provide patient choice, convenience, peace of mind, fast results and fast-tracked specialist referrals. Our rates are transparent with no additional administration or prescription charges. We are always happy to discuss the cost of your care prior to your appointment and also organise package costs for multiple tests and services. The Harley Walk-in Clinic is set in a listed building in London’s prestigious medical district and is medically furnished to a very high specification. Our service is professional, convenient and discreet and our principle commitment is to excellence in healthcare for our patients. We achieve this through exceptional facilities, highly-trained and experienced doctors, a caring and professional support team and a close network of specialists, radiology centres, physiotherapists and complementary therapists.